Become A Portacabin Supplier And Super Dealer! Make loads of Cash! We have vacancies for metal building supplier. We recommend that you read this message thoroughly because this is an opportunity you should not miss. In fact, this may turn out to be the most important letter you've read online this year. 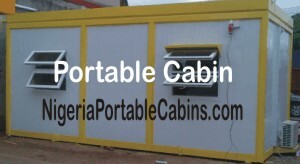 We are portable cabins and prefab building manufacturers based in Lagos Nigeria. We manufacture portacabins at our factory in Lagos Nigeria and deliver to customers all over Nigeria. Right now we are looking for individuals and organizations who have a supplier or contractor relationship with small, medium or big organizations. We are looking for individuals or organizations who are existing suppliers of all kind of stuff to national or multinational companies in Nigeria. It doesn't matter what you currently supply to companies with whom you do business. It doesn't matter what kind of contract relationship you have with these companies. What is important is that you have existing business relationship with some national or multinational companies in Nigeria. Why are we looking for these category of contractors or suppliers? It's because we want these contractors or suppliers to help us reach these companies with our portacabin and prefab home products. Yes, we're inviting you to become one of our portable cabin suppliers, metal building suppliers, and prefab homes suppliers. You simply signup by filling the application form at the bottom of this page. When you signup, you become one of our super dealers or manufacturers representative. So, what does it mean to be a super dealer for our portacabins? What do you benefit when you signup as one of our manufacturers representatives? As one of our portable cabins or prefab building super dealer all you have to do is introduce our portacabins to profit and non-profit organizations or companies with whom you already have a business relationship. You send these organizations who are your clients a proposal to supply them portable cabins or prefab homes and you discuss all the modalities with them. When you win the contract, you simply pay us to manufacture them for you. We manufacture for you while you supply to your clients at the price you agreed with them. Most likely you're wondering, "what is the profit margin? How much can I make per transaction?" The good news is . . . it's entirely up to you. We manufacture portable cabins, portacabins, and prefab homes and we sell to super dealers, super distributors, or manufacturers representatives at a discounted price. And these portable cabin suppliers then sell to the organizations or individuals with whom they already have a business relationship (and any new customers they acquire through advertising) at a profit. This means that you decide the price you will sell to your customers. You buy from us at base price, add your profit margin, and then sell to your customers at the retail price you have decided upon. So, it's up to you whether you want a profit margin of 5%, 10%, 20% . . . or more. Yes, you have an opportunity to make as much profit as you want! As discussed above, our portable cabin suppliers (or super dealers) buy from us at a discount and resell to their customers. 2. They set their price for different portacabin models based on the price list they received from us. From the above, it is obvious that you need cash to become one of our metal building supplier or portacabin super dealer. In simple words . . . you need cash to become one of our manufacturers representatives or super dealers! So, where will you get the cash from? If you're already a supplier of other products for big national or multinational companies, you already know that most of these companies don't pay for goods upfront. Instead, they will request suppliers to bid for supply contracts, issue LPOs (Local Purchase Order) to contractors who win the bid and expect the contractor to finance the contract. Thereafter, the company will then pay the contractor 30 - 45 days from the date the invoice was submitted (and after completing the job to the satisfaction of the company). Where do suppliers for these local and multinational companies get the funds to finance these supply contracts? We are looking for experienced suppliers (or contractors) who are already in the general contractor business to become portable cabin suppliers or manufacturers representatives for our company. In simple words . . . you are already a supplier of goods and services for high net worth individuals and organizations. We are simply asking you to include our portable cabins and prefab homes in the list of products you supply to these companies and individuals. The best part is . . . you get to set your own price and you can earn as much profit as you want. Ready to become one of our portable cabin suppliers or metal building supplier? Ready to earn loads of cash as a prefab homes supplier? Fill the simple form below to signup as one of our portacabin suppliers or super dealers. P.S: People seeking to become portable cabin suppliers or manufacturers representative are required to order at least one portacabin from us for display purposes. This is the portacabin the super dealer will showcase to potential customers to enable him / her close deals faster. Therefore, to become a super dealer, you must order at least a minimum of 2.4m long by 2.4m wide portacabin valued at =N=1.45 million. This means you need at least =N=1.45m cash to become one of our manufacturers representative. P.P.S: If you do not have =N=1.45 million to invest in our super dealer program, do not bother filling the application form below. Instead, send us an email to request information about our FREE Portable Cabin Affiliate Program.